Marquis’s mom has always been able to make the most perfect, delicious dinner rolls. You really don’t need anything else to go with the meal, you just sit down with one (or two, or three) of those babies and enjoy. 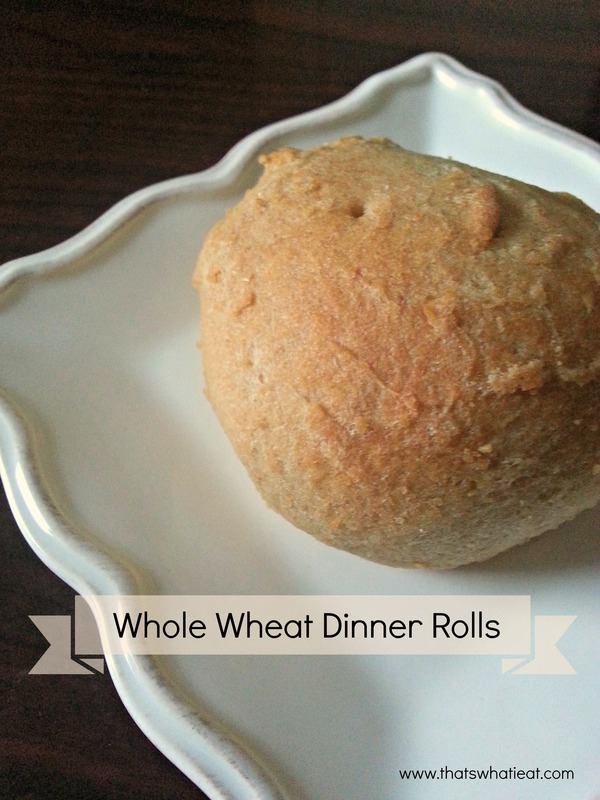 I used her recipe for years and years to make dinner rolls, and everyone raved about them! Unfortunately, as we made the move to Real Food, a lot of the ingredients didn’t fit with our new lifestyle. Since I love these rolls so much, I decided to tweak them and clean them up. Changing the ingredients also changed the way I make it a little bit, which I actually believe simplified the process. Better for you and more simple? Yes!!! I also personally believe these rolls are just as delicious as the original, and the way they disappear whenever we serve them makes me think other people feel the same way. As a quick note, if your goal is weight loss, make sure you watch portion size on these beauties. One roll, enjoyed slowly, is plenty. While I’ve mentioned before that counting calories is not how I lost my weight or a method that I advocate, calories are still one small part of the weight loss picture, and these rolls are higher in calories. Also, although I have swapped out the sugar for a natural sweetener that is better on your body, it is still a sugar and should be eaten in moderation. So without further blabbering on, here is the recipe! In a small bowl, soften yeast in water and set aside. In a saucepan, melt butter and honey together. Don't let this get too hot! When butter and honey are almost melted, add milk and salt and remove from heat once slightly warmed through. Pour milk mixture into a large bowl and whisk in 1 cup of the flour. Add softened yeast and egg and mix well. Gradually add remaining flour to form a soft dough (a dough hook on a stand mixer works well for this, but I like to knead the flour in by hand). Cover and let rise until double, about 1-1/2 to 2 hours. 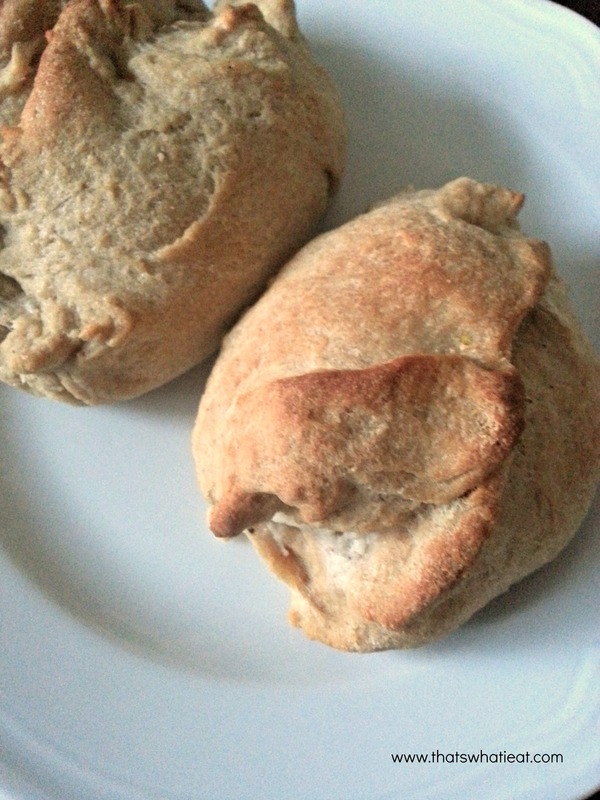 Divide dough into 12 pieces and form into rolls. Dip each roll in melted butter and put in pan. Allow to rise until double again. Bake at 370 degrees for about 20 minutes, until slightly golden. Just a few notes: You can use regular whole wheat flour, but I’ve found this to be too dense. I love using the white whole wheat flour, which is ground from hard white wheat and is might lighter. Also, these rolls are a great base for a few other recipes. If you roll this out and spread butter, sugar (I know, I know, I’m still trying to figure out a sub for this in this application) and cinnamon, you can roll those up and make cinnamon rolls. As another variation, f you make my recipe for chicken salad sandwiches, you can spread the roll dough out, put the chicken salad inside, and bake to make chicken rolls. Yum! When you have formed the rolls, about how long does it take for them to double in size before going in the oven? It will depend on your yeast and how warm your kitchen is, but mine usually take between 20-40 minutes? Let me know how it turns out for you!